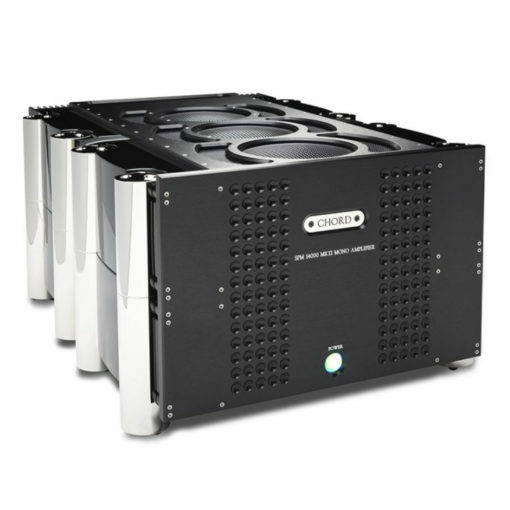 The SPM 14000 MkII mono power amplifier is the finest amplifier Chord has ever built. Their flagship amp and the most powerful model in the portfolio, the SPM 14000 MkII offers sensational performance and showcases their proprietary technologies at their very best. Phenomenally powerful, it offers an incredible 1,000 watts of power into an 8 ohm load, 2kW into 4 ohms and can exceed 2,800 into 2 ohms; this uncompromising amplifier is truly capable of driving even the most demanding loads with unflinching authority.